Okay, so you folks already know I’m kinda weird. Call it lolo, call it pupule, watevah. I’m quirky. I’m an out of the box kind of person, right? So maybe you’ll understand what I did this month. No? Well, maybe. Gimme chance, eh? So I got the sad news that my spinning buddy, Suzette, and her hubby, were moving to Colorado for a couple of years. She and I used to get together once or twice a month to spin, though lately it hasn’t been that often because the coffee shop closed where we used to meet. We’ve really missed each other, and we were hoping to get together really soon, but then she told me they were moving to Colorado. I shed a few tears about that…well, okay, more than a few…but Suzette told me that she’d get to come back once a month and that made me much happier. So I decided that it’d be fun to try and catch Suzette and Owen in their big yellow Penske truck as they drove along. I couldn’t find a streaming webcam anywhere along their route, but I wondered if I could do a screenshot of a regular traffic cam. Not too hard, right? Wrong. 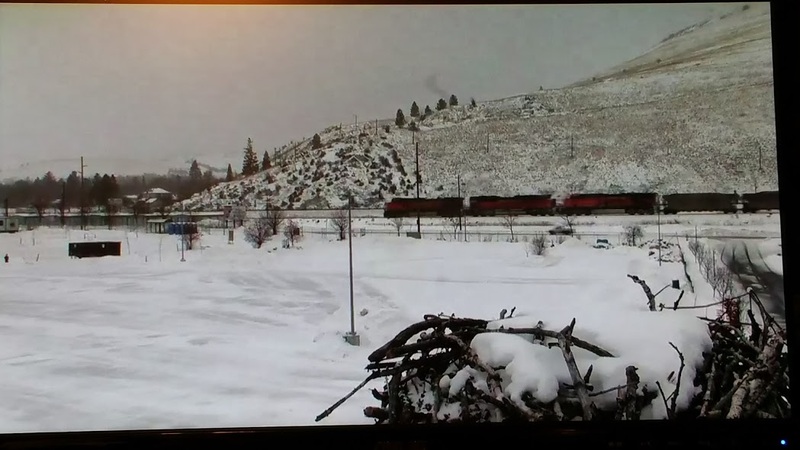 I tried all the way through the Blue Mountains on New Year’s Eve day, then the next day in Idaho (whose webcams don’t update very often at all). On New Year’s Day, we had a major horse emergency, and I had to leave my computer for awhile. (I’ll be writing a post about that adventure, too.) When I got back to my computer, Suzette and I began texting like crazy, me trying to find out where they were so that I could track them and get a screenshot of them. Maybe. It was all to no avail. They drove all the way across Idaho without me catching sight of them. Killfight dat. But in the meantime, Suzette would send me photos of their trip, which she did, and which I absolutely loved. It was supposed to be a few texts here and there, a few photos here and there, but that’s not what it ended up being. Oh my gosh, we were chattering like magpies the whole day while I was trying to catch them on a webcam. Suzette: “We just passed the xyz exit” or “We just passed milepost 123”, etc. And then I’d use webcam websites to try and get a photo. It was kinda wild and crazy. The other thing I did, when I found out where they were going to stop for the night, was to look up restaurants in the area by their motel; I even sent her texts of the menu. I’m telling you, I was on a roll! But throughout the whole day, not one single webcam screenshot did I get. We sure had fun, though. We texted back and forth for hours, all the way across Idaho and into Utah. It was great being in communication, but I never did see their rig. I must admit to being maybe just a teeny bit hyper about the whole thing. When they finally got to their destination, I decided that I’d make road trip posts so that I could share my adventure with you folks. So I sent all Suzette’s photos to my email and put them into a folder so that I could upload them here. In Part Two, the adventure begins. Well, actually, it kinda begins here. But Part Two will have photos. And there’ll probably have to be a Part Three, too, because I’ve got forty, yes, forty, photos!! What a ride!! Stay tuned.